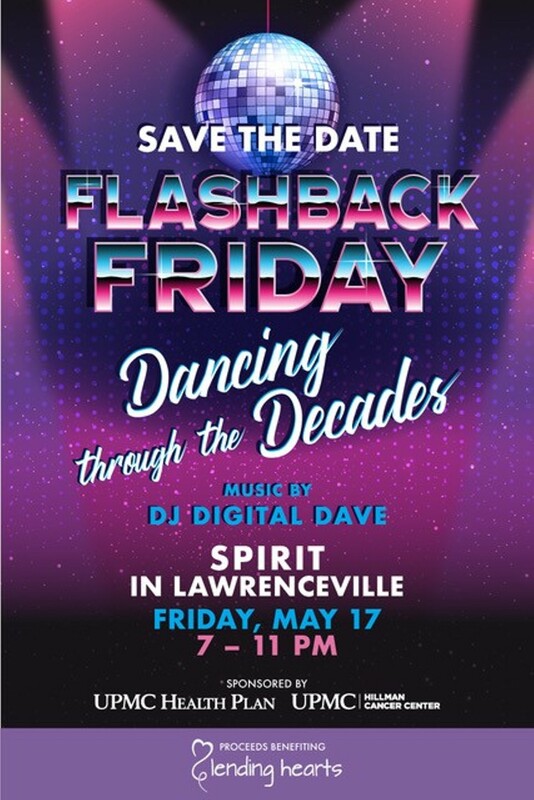 When: Fri., May 17, 7-11 p.m.
Join Lending Hearts and emcees, WTAE-TV’s Elena LaQuatra & KDKA-TV’s Celina Pompeani for Flashback Friday! 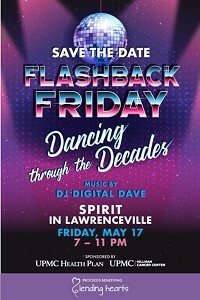 With DJ Digital Dave, we’ll be dancing through the decades to all our favorite hits from the 70s, 80s, 90s and 2000s. Want to show us your favorite decade? Dress the part! It’s not required, but let’s really flashback. Your $25 ticket includes: admission to the dance party FREE pizza & wings use of the photo booth cash bar and more!